Herbal Products Made With Hand-Picked Wild Herbs! Wild herbs have been used for centuries as a source for food as well as their medicinal and cosmetic benefits. We hand-pick the choicest wild herbs from the woods and meadows in the Ohio Valley and combine them with other high quality ingredients to create our Wild’erb product line. Key Ingredients: Apricot Kernel Oil (Prunus armeniaca), Jojoba Oil (Simmondsia chinenesis), Hemp Seed Oil (Cannabis sativa), Avocado Oil (Persea americana), Grapeseed Oil (Vitus vinifera), Vitamin E (mixed tocopherols), Essential Oil Fragrance Blend. 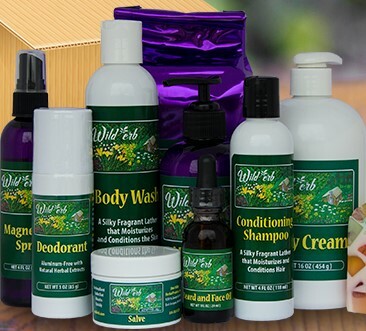 Wild'erb Skin Care Herb Blend: Barberry (Berberis vulgaris), Cleavers (Gallium aparine), Comfrey (Symphytum officinale), Devil’s Club (Oplopanax horridus), Echinacea (Echinacea augustifolia), Evening Primrose (Oenothera biennis), Goldenrod (Solidago canadensis), Ground Ivy (Glechoma hederacea), Goldenseal (Hydrastis canadensis), Hops (Humulus lupulus), Horsetail (Equisetum hyemale), Jewelweed (Impatiens capensis), Kelp (Macrocystis pyrifera), Lemon Balm (Melissa officinalis), Mullein (Verbascum thapsus), Neem (Azadirachta indica), Nettle (Urtica dioica), Parsley (Apium petroselinum), Pawpaw (Asimina triloba), Plantain (Plantago major), Sage (Salvia officinalis), Self-heal (Prunella vulgaris), Shiitake (Lentinus edodes), St. John’s Wort (Hypericum perforatum), Thuja (Thuja occidentalis), Usnea (Usnea barbata), Willow (Salix Alba), Witchhazel (Hamamelis virginiana), Wormwood (Artemesia vulgaris) and Yarrow (Achillea millefolium), Yellow Dock (Rumex crispus), Japanese Knotweed (Fallopia japonica). 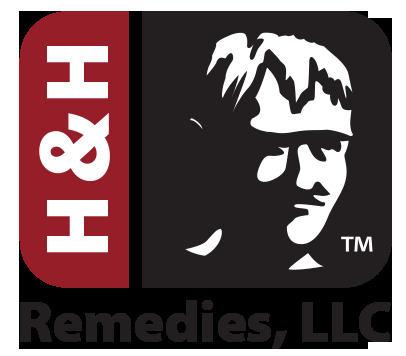 Please contact us for purchasing other Ohio Valley Herbal Products not on the Wild'erb Product Page.